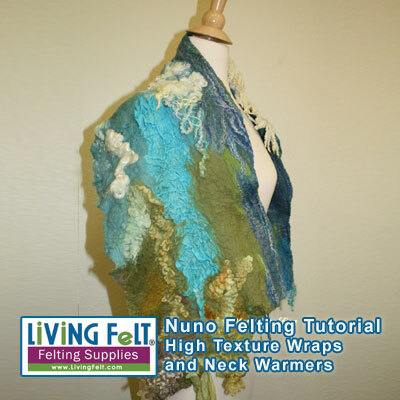 This nuno felting tutorial will take you step by step through this project which will give you very detailed photos and written instruction. 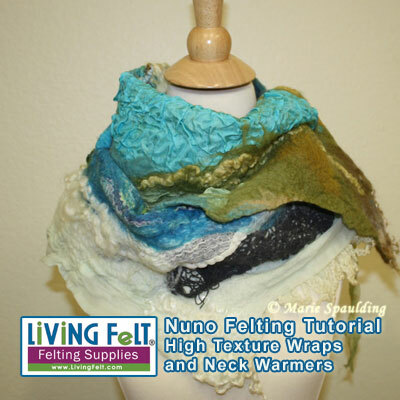 This nuno felting tutorial similar to the free video tutorial for making a nuno felt neck warmer but in a different design. The HiRes Version is 12MB, giving you HIGH QUALITY images of the work in progress means you can zoom in for great detail. If you need a smaller file size, download non "HiRes" pdf, it is under 3MB. In this PDF, you will get 30+ pages with 150+ photos across 3 different projects. 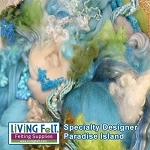 PROJECT 1: Nuno felting a neck warmer in the Paradise Island color way. This is very detailed with written instruction. 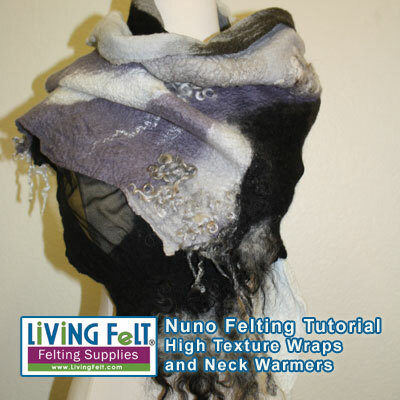 PROJECT 2: Nuno felting a shawl in the Paradise Island color way. This is a larger version of the neck warmer, as a result, there is little copy to read, but tons of step by step photos. PROJECT 3: Work in process photos for the monochrome wrap in the Starry night colorway. I bit less detail, by this time you will understand the methods. 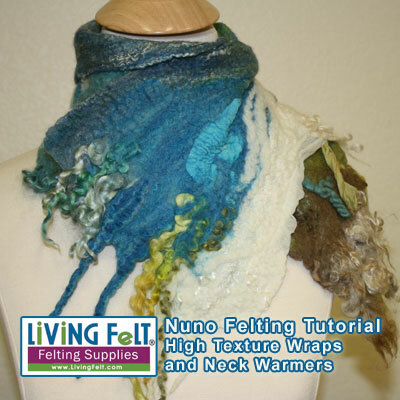 Try your hand at a small neck warmer and then a larger scarf or shawl! The designs and colors you can choose are infinite! 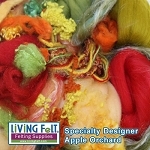 For these projects, we used Merino Top, Merino Silk Blends, Luster and Luxury Fibers, Locks, and more. 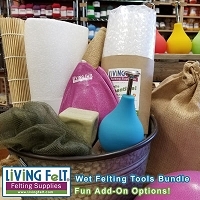 Spa cover or bubble wrap, pool noodle. This item is a DOWNLOAD ONLY. You will recieve your (.PDF) DOWNLOAD link and/or serial numbers via your order confirmation email. You will need Abode Acrobat to open the file. You can get for FREE here: Please remove any spam filters or be sure to allow emails from this site. Thank you!